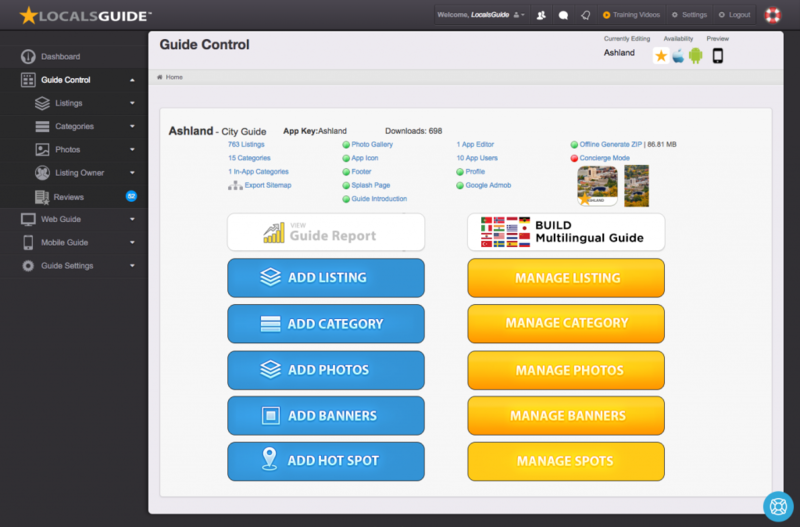 The Guide Control Dashboard offers ultimate power and control of your mobile guide. Everything you need to know about your guide starts here. Export Site Map = Export a detailed and printable site map of your guide.